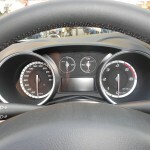 Power steering is the feature in modern cars that allows the driver of a car to direct the vehicle without exerting the effort it would require to physically turn the wheel. In a power steering system, movements made on the steering wheel cause fluid pressure inside the hydraulic pump to move to one side or the other of the pump. This pressure causes a piston to move, and that piston directs the gears to steer the car. When the power steering fails, the wheels of the car become exponentially more difficult to turn. The wheels will turn, but the force required to make this happen can be unexpected and problematic. If power steering failure occurs while a car is in motion, an accident can result. Earlier this year, a large-scale recall relating to the failure of power steering was covered extensively in the news. In late May 2014, 1.4 million vehicles were recalled by the Ford Motor Company. This recall included over 915,000 Ford Escapes and Mercury Mariners, due to a defect in the torque sensor (the part that manages the amount of pressure applied by the steering system). In addition to the Ford Escape and Mercury Mariners, this recall also included some Ford Explorers, due to an electrical blip in the steering system. According to a May 29, 2014 writeup in USA Today, at least 5 accidents and 6 injuries have been linked to the Escape and Mariner defect, and 15 accidents and 2 minor injuries have been linked to the Explorer problem. A whining or squealing noise when the wheels turn can be an indication that the power steering fluid is low. Power steering fluid is available for sale at automotive supply stores and can easily be replaced, however, a drop in the amount of fluid may be indicative of a leak in the power steering rack. Replacing the power steering fluid will only solve the problem temporarily unless the leak itself is repaired. The YouTube video below provides advice for locating and fixing a power steering fluid leak. If the wheels of your car are difficult to turn, this is another indication that your power steering is failing. Potential causes include low levels of power steering fluid and a leak in the power steering rack (as described above), or damage to the power steering belt. Replacement of power steering belts may vary from one type of car to another. However, the instructional video below shows the replacement of the power steering belt on a ’94-’97 Honda Accord, and may be used for reference in the replacement of the power steering belt for other cars. For even more information about adjusting or replacing the power steering belt, take a look at this tutorial online. This symptom of a failing power steering system is a surprise for some people because it occurs when the car is idling and the power steering is not in use. Violent steering wheel vibrations are an indication that the belt is either damaged, loose or needs to be replaced. Methods for replacing the belt are the same as the methods described above. In the event that your power steering fails while driving, your priority should be to get to the side of the road safely. Gently push on the brakes and guide your car to the shoulder. You’ll need to turn the wheel hard in order to make any turn at all. Don’t hit the brakes hard, because this could cause you to lose control of the vehicle. Alert other drivers to your problem by turning on your hazard lights as you begin to make your way to the shoulder. Understanding power steering is an important part of fixing problems that arise. For a more thorough understanding of the way power steering works, take a look at this very useful article. The National Highway Traffic Safety Administration (NHTSA) is the branch of the U.S. Department of Transportation that sets safety standards for vehicles and labors to reduce motor-vehicle collisions on the nation’s roadways. You can always check on the latest vehicle-recall information, or report a complaint, by calling the NHTSA Vehicle Safety Hotline at 1-888-327-4236. The NHTSA website also provides a list of current recalls. If you become injured in an accident due to a defective power steering system, contact a personal injury attorney with a record of excellence in your community. Residents of the Pittsburgh area can contact Beier Attorneys at Law. Bart Beier returned to Pittsburgh to open a private law practice after completing his education at Harvard University. He then co-founded the firm of Beier, Beier & Beier with his wife Mary. Bart has extensive litigation experience in a wide range of personal injury cases including slip and falls, auto accidents, and defective products. He provides clients with special insight into insurance practices, having worked for two major insurers before practicing law. Bart also has developed considerable real estate expertise with 35 years of experience. He has personally done over 2,000 real estate closings and has been a real estate title agent for over 20 years. Bart works with both residential and commercial real estate clients throughout Pennsylvania. Learn about the law that Beier specializes in. Read about the history of Beier Law. Read about your potential representation. Explore past Beier Law cases and their verdicts here. Our core service areas include Personal Injury Law, Family, Law, and Real Estate Law. Can we assist you with a free consultation?